After years of indecisiveness, bad reviews, bad performance, and a frustrated management cycle, Microsoft finally pulled the plug on their former stalwart brand — Internet Explorer. Ask yourself: Just how many times have you hit the ‘Explorer’ icon in your digital lifetime? First released in the mid-1990s, it dominated the browser market at its peak in the early 2000s, but it came to be associated with poor security and compatibility with other browsers and has since languished. The new browser project is named Spartan, and whether that is the brand they finally end up with (they are non committal on this brand selection), it will have a lot to overcome. Google’s Chrome has dominated the PC browser business — a market in which Microsoft use to control. According to StatCounter in February 2015, Chrome held 43.2 percent of the global browser market including desktop, mobile, and other platforms, while IE captured just 13.1 percent — FireFox had 11.6 percent. According to AdWeek’s Kristina Monllos, the IE brand is so tainted with poor performance, especially in the mid-2000s, that they will have a lot to overcome. What some analysts quickly pointed out….to get users to switch back to IE, you are asking them to switch their daily habits, and that’s hard to do, especially if there is a bad taste in their mouths. 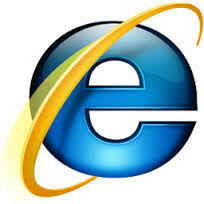 IE has left a bad taste for some time. IE still controls 25% of the desktop market, so it’s not going to disappear — but it will take some very creative and effective marketing to get users to switch back to Microsoft’s new brand, whatever it is.